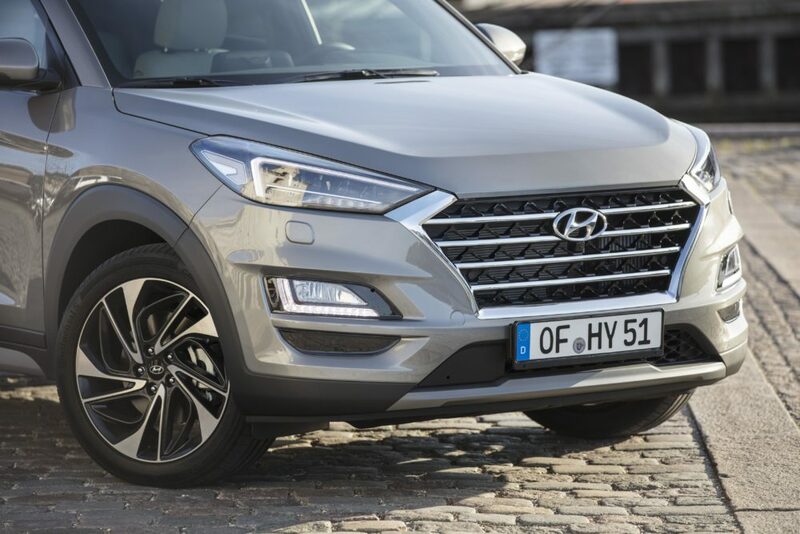 The new Hyundai Tucson will be equipped with a fuel-efficient 48V mild hybrid powertrain. It is the first model in the company’s line-up – and one of the first in the industry – to offer the new technology. It will be launched across Europe in the summer. In addition to the upgraded powertrain portfolio, all Tucson engines meet the new Euro 6d Temp emission standards. The new Tucson also offers a major design update and wider range of advanced technology and convenience features. 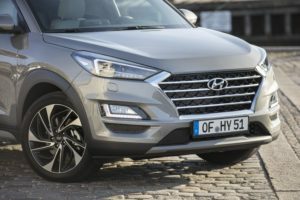 For the first time in a Hyundai, the new Tucson features a 48 V mild hybrid powertrain system which is available in combination with the 2.0 litre diesel engine. The technology designed for electrification comprises a 0.44 kW/h 48-volt lithium-ion battery, a Mild Hybrid Starter Generator (MHSG), a LDC converter (Low Voltage DC/DC) and an inverter. Under acceleration the MHSG supports the engine with up to 12 kW and thereby reducing fuel consumption. The system switches automatically between mechanical use of the engine and energy recuperation. The MHSG assists the combustion engine by discharging the battery to reduce engine load with light acceleration or to provide additional torque to the engine under strong acceleration. During in-gear deceleration and braking, energy is recuperated to recharge the battery. In this way, the system significantly improves the engine’s fuel economy and CO2 emissions. Hyundai says that thanks to the new electrification system, customers will benefit from a good trade-off between purchase cost and reduced costs related to fuel consumption and CO2 emissions. With this technology, Hyundai aims to reduce fuel consumption and CO2 emissions by up to 7 per cent combined with the manual transmission in NEDC conversion. The 2.0 diesel engine is the most powerful in the New Tucson’s powertrain line-up offering an output of 101 ft lb/183 bhp. It comes with four-wheel drive and can be paired with a 6-speed manual transmission or optionally with the newly developed 8-speed automatic transmission. By spring 2019, the 48 V mild hybrid technology will be available with new Smart Stream 1.6-litre diesel engine in the New Tucson.